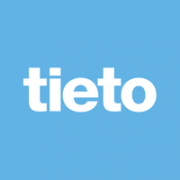 NatWest is partnering with Nordic software company Tieto to offer business customers a new client monies and virtual account management service later this year, reports Jane Connolly. The platform is designed to support regulated professions – such as legal, accountancy and insurance firms – who need to safely segregate their clients’ monies to comply with industry best practices and regulatory standards. By using one centralised platform, the bank claims that corporate customers will be able to reduce the number of bank accounts they hold, improve their processes and achieve greater visibility and control over their liquidity positions. The new services will be offered under the NatWest and Royal Bank of Scotland brands from October, followed by further rollout to its Coutts and Ulster Bank NI customers from next year. The bank hopes to build on its use of this technology in the coming years to support further needs from business and large corporate customers.